In 1931 the Frame family moved to Ōamaru, where Janet spent the rest of her childhood and youth in this house. She attended Ōamaru North School and then went on to Waitaki Girls’ High School. 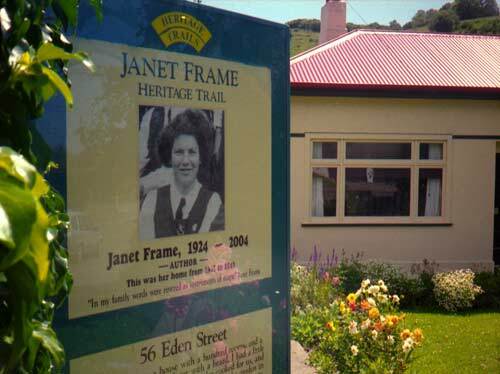 The portrait on the Janet Frame Heritage Trail sign in the foreground shows her as a secondary-school student.